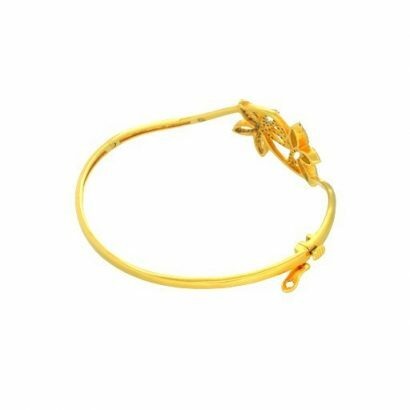 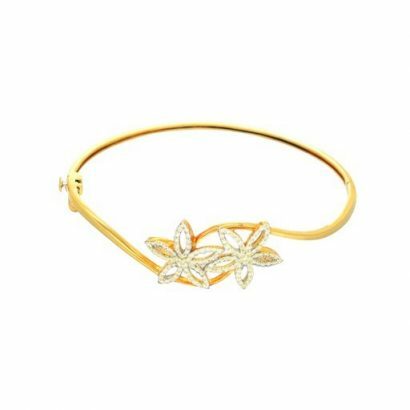 A bangle that is unique and contemporary in design. 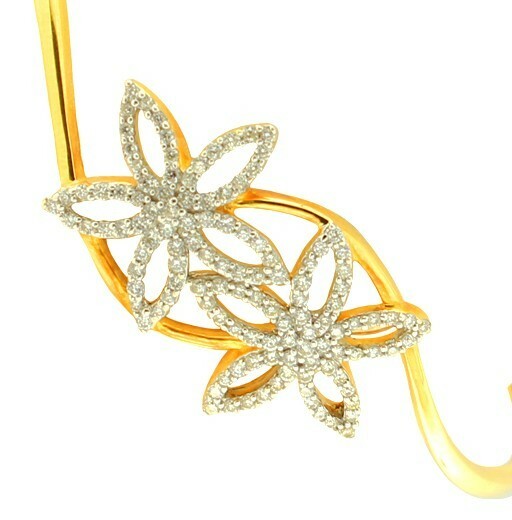 A 22 karat golden strand culminating in two exquisite dazzling diamond blossoms. Craftsmanship that is minimalist, yet has the ability to bring out the fragile femininity of the piece.